In Houston and around the world, churches and other places of worship, like synagogues and mosques, serve important and unique purposes in the lives of their members. While places of worship have issues in common with other types of non-profit organizations, they also encounter unique legal issues requiring the help of an experienced church dispute attorney to resolve. Often, church disputes can be resolved out of court, in ecclesiastical courts, in other faith-related tribunals, or in civil courts. 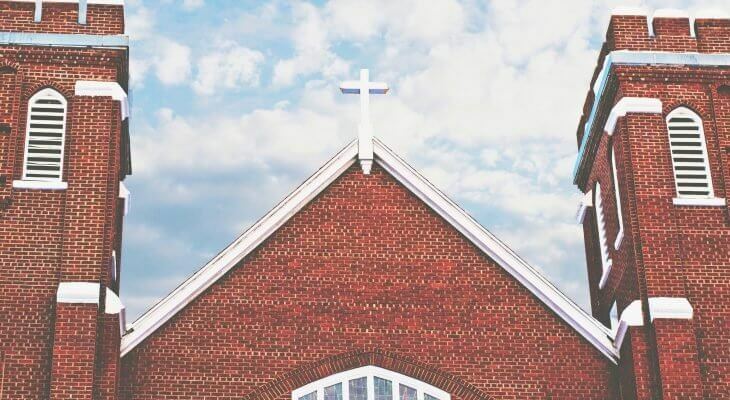 At Burford Perry, we believe in resolving church disputes in a manner that preserves the integrity of the church, synagogue, mosque, or religious institution involved. One of Burford Perry’s founding partners, Brent Perry, studied religion and the law at one of the country’s top law schools, The University of Chicago Law School. He has been a lifelong church member, trustee, teacher, and leader, and has acted as a trustee and legal counselor for numerous churches in the Houston, Texas area. His valuable experience makes the attorneys at Burford Perry both intimately knowledgeable on and extremely experienced in dealing with how places of worship operate and how to best serve them. In the last ten years, Brent Perry has helped a divided congregation in Baytown agree to sell its assets so that the church’s financial problems were resolved, counseled a Woodlands mosque on reforming its leadership elections so that the members had a voice in their place of worship, advised a Clear Lake church in investigating financial wrongdoing by a minister, and served numerous Houston churches in leadership disputes. As a young lawyer, Brent Perry was lead counsel in Chalifoux v. New Caney I.S.D, 976 F.Supp. 659 (S.D. Tex. 1997), a leading religious liberties and free speech case for students. What Kinds Of Disputes Do Churches Face? Governance Disputes occur when members of the church, synagogue, or mosque disagree over who has decision-making control. Congregational churches and places of worship with a non-hierarchal structure often face this issue. Property Disputes are most commonly encountered when a church splits into factions within the larger church structure, and neither side can agree as to which group rightfully owns and controls the church’s property and buildings. Employment Disputes arise when the church governing body, such as a board of elders or executive council hires, disciplines, or terminates a pastor, minister, priest, or other church employee. Financial Disputes can develop when church funds are misappropriated or abused. These types of disputes can be highly contested and must be addressed quickly and firmly. Church-State Issues happen when a government body opposes an action being taken by a church, synagogue, or mosque. Most often, a place of worship encounters resistance to new buildings or remodeling older buildings. Sometimes, the leadership takes a public position on community issues and fears retaliation by a government body. Sometimes, the IRS investigates the tax-exempt status of a place of worship. Having an attorney who understands church-state issues is important in these situations. There can be many causes of church disputes. One of the most common causes is the contractual interpretation of the terms in the church’s governing document. A church’s governing document or constitution is designed to guide the behavior of churches and their employees, but like all other contracts, parties may disagree on what it means. To resolve a church dispute, an attorney must be able to understand and work within a church’s governing structure. Another common cause is a disagreement between the ministers and the elected or appointed leadership, like elders or an executive counsel. In this situation, the church needs an attorney who can be sensitive to all sides of the issues. How Are Church Disputes Different? The proper way to handle legal disputes for places of worship differs from other non-profits or businesses. Many religious bodies have their own hierarchical system for hearing and deciding disputes. Oftentimes, the congregation and leadership need a mediator who can understand both sides. Because the religion clause in the First Amendment often prevents courts from hearing church disputes, the intervention of a skilled and experienced attorney can make all the difference. It is essential to find a legal team with experience working with religious institutions that can work toward mediation, resolution, and reunification to resolve the conflict. The lawyers at Burford Perry LLP have resolved a variety of disputes for religious institutions, including churches, synagogues, and mosques. If your church is facing a dispute, or if your church is already facing a lawsuit, we can analyze your situation and develop the appropriate course of action. If necessary, we can represent your church or its ministers and leadership in court to protect your interests. Contact us today to schedule a confidential consultation.